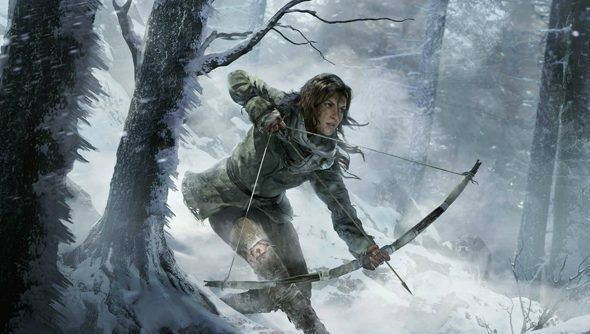 A new Tomb Raider film appears to be in the works. According to Deadline (via Eurogamer) the new project now has a writer, and will see Oscar-winning actress Alicia Vikander return in the title role. MGM and Warner Bros have reportedly hired writer Amy Jump for the role. Jump is best known for Free Fire (which starred Captain Marvel herself, Brie Larsson) and a suite of other collaborations with her partner, cult UK director Ben Wheatley. Graham King, who produced Best Picture-nominated Bohemian Rhapsody, as well as the first Tomb Raider film (which came out last year) is also returning for the project, alongside Elizabeth Cantillon, but there’s no word on a new director. The first film vaguely followed the events of 2013’s Tomb Raider videogame reboot, and its ending left the door open for a sequel, but it’s not clear whether the next film will follow in the footsteps of Lara’s latest outings on PC. Rise of the Tomb Raider and Shadow of the Tomb Raider released in 2015 and 2018, respectively. As recently as last week, the series’ future on the big screen seemed in doubt, as the film wasn’t a massive financial success and a few rumours suggested Vikander wasn’t interested in returning to the role. According to Deadline, however, the actress – who won a Best Supporting Actress Oscar for 2016’s The Danish Girl – was impressed by Jump’s take on the series. Elsewhere, however, the franchise appears to be in good health. Shadow of the Tomb Raider’s producer recently said he’d be “extremely surprised” if Lara didn’t show up again in some form or another, although he didn’t mention what he would be working on next. As for the film itself, my extremely cold take is that it was, well, alright. I’d even go so far as to say that it was pretty good as far as videogame movies go, although I acknowledge that’s an extremely low bar to clear.